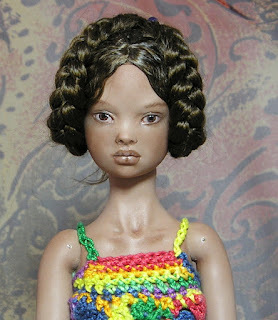 Yes, the new girl is already here :), Vicky has her first wig completed and a new one is coming up. 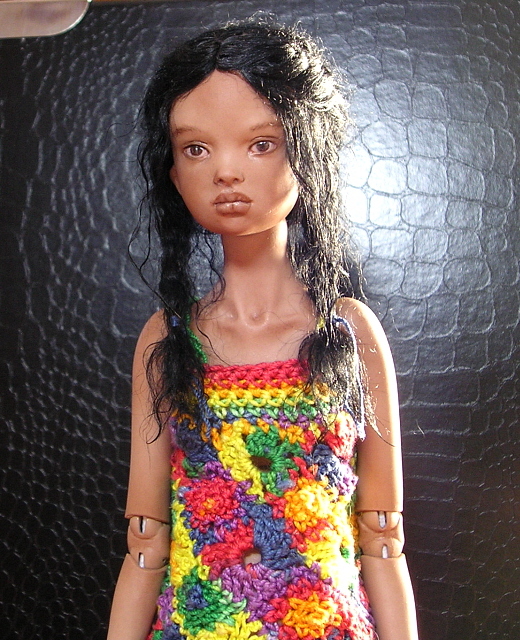 She has very beautiful green eyes and a lovely hair cut, soon I will be ready to add some pictures of her second wig and a dress that I will probably make to match her eye color. She has three china painted tattoos on her body, and I knitted her colorful dress, she has two removable wigs and is more cute in person :). I will be listing her on eBay this Sunday for 7 days. Sorry I have been away from my blog for such a while, I have taken a short break and now am back. I am not finished with my Snow Queen yet and am still looking for the finishing touches, I didn't like the wig I made for her and decided to finish her later. 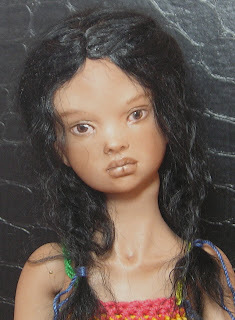 So I am now working on one more girl and today she is going through her high firing, I didn't decide on her character yet, but I think she will have beautiful green eyes, this week I will paint her with china paint and soon will be able to show you some results. Also I would like to introduce to you Ali, she is my newest finished girl and is very lovely, I am still working on her second wig and she will be available for sale.